Apple’s iPad is now three years old. Since it hit the market in 2010, it has sold more than 120 million units and basically launched the tablet industry as a whole. But pricing remains an issue for those consumers considering making a purchase, as many name-brand tablets start as high as $499. And even lower-priced, full-sized tablets sell for between $300 and $400. However, this is about to change. While neither is as good as the iPad, according to Mossberg, both offer great value for the cheaper price tag. The Asus Android tablet comes with built-in apps from Google and has front and rear cameras, along with 16 gigabytes of internal memory. 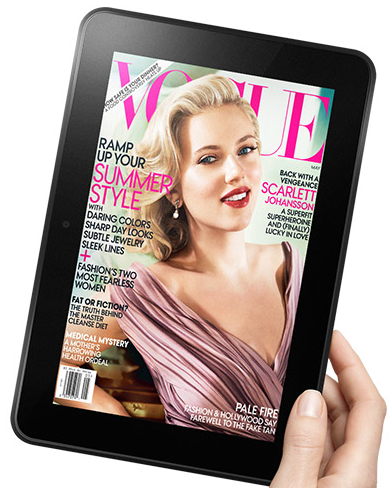 As for the Kindle Fire HD 8.9 (pictured here), “like its popular $199, 7-inch sibling, is technically an Android tablet. But it buries Android under Amazon’s own user interface, doesn’t feature Google’s apps and uses its own tablet-oriented, highly curated app store, which currently has 50,000 choices,” writes Mossberg. The Kindle also comes with 16GB of memory and is capable of managing email, browsing and social networking, in addition to running popular third-party apps and games. And while the Asus runs Android’s Jelly Bean, the Kindle runs Android’s Ice Cream Sandwich.